Hospital bundle! This is so big it might be even worth the cost! 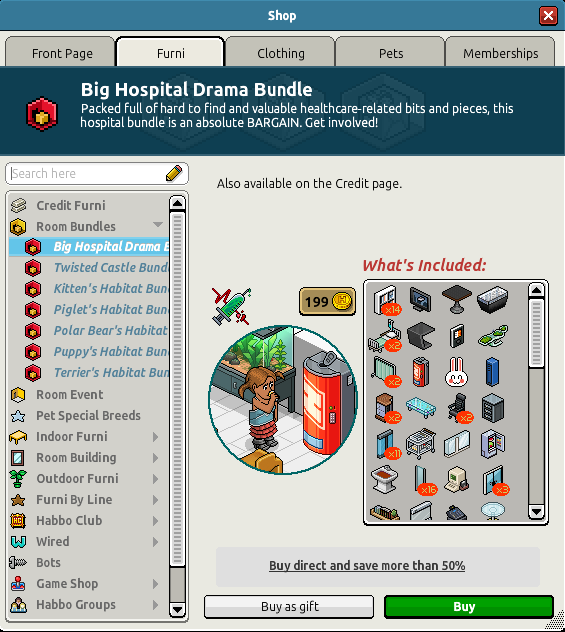 Open up your catalog and then go to Room Bundles page where you can buy this bundle for 199 credits!